There's More to Life Than Just a Date So Find It All! 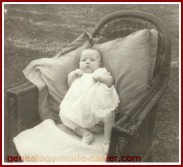 We all search for birth date documents to find the exact birth date of one of our ancestors. If that is all you look for, however, you can miss other valuable tidbits. Do you know what kinds of information you can find on your ancestors' birth documents? What you will find depends entirely on the documents you can locate, the jurisdiction where those documents were created, and, sometimes, on how much you are willing to spend for the information. If you can find the county, region, state, or other government document for your ancestor, your birth date searches will find at least the name used to register the birth, and the date of birth. In some cases, you will also find the father's name and the maiden name of the mother. In others, perhaps only the father's name is listed. In many cases, the mother's name is her married name. If you are lucky, this may be the place you find the woman's maiden name for the first time. And that is quite a find! Another piece of information your birth date searches may find is the location of the birth. In our current times we usually think of this as the hospital where the child was born. In older times, it is often the home address, in a town or in the countryside. So you may learn that your great uncle Bill was born on the 7th concession, lot 23 of the township. This information can help you find other documents - or at least give you a smaller area to search for schools, churches, cemeteries, all of which may contain additional information about your ancestors. Additionally, some birth documents will give the name of the doctor, or midwife, or other assistant at the birth. Again, this can lead to further paths to pursue in seeking additional information about your ancestor. For instance, I had an ancestor I did not have a death date for, but discovered she was a midwife in the area, and by tracking not only my family births, but also the births of others in the immediate area, I could more accurately "guesstimate" a time of her death. Nowadays, births are usually registered at the hospital where the child is born. In older times, however, when children were born at home, someone had to go to the designated office to register the birth. In many cases, it was the father who did this. Lots of registrations required the name, address, and occupation of the person reporting the birth. Again, an opportunity to learn more about the family from your birth date searches. If you know where your ancestor was born, obviously you begin with the records for that area. But, what places might we find them? However, we do not always know exactly where our ancestors were born, so we have to look further, and ferret out the information from other sources. So, what can we do to find those elusive birth records? Birth date searches can be frustrating, and it can be appealing to quit before you have exhausted all your possibilities. Don't! Look Far Beyond the Date!